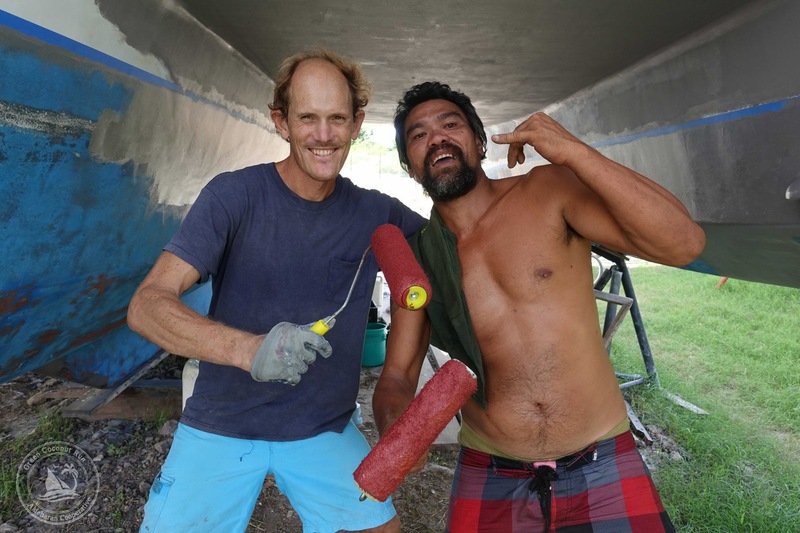 Relying on local labor or materials is a recipe for delays in the Hiva Oa boatyard. There are two exceptions: paint and resin, which can’t be transported by airplane due to their flammable nature. Just like that, Aldebaran’s hull color changed from blue to red. red!!! super picante 🙂 love this. 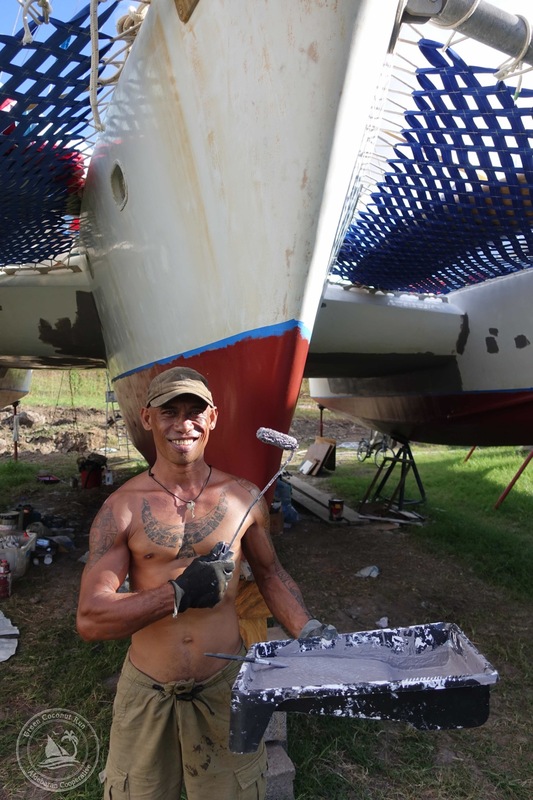 excited to see the boat back in the water! You did it in 15 days! Congratulations! I like the red hulls. It will make Aldebaran even more distinctive as most hulls are white with occasionally dark blue, black, green and even beige. Red will undoubtably make her go faster a la Ferrari. Oh I loved the red hull! 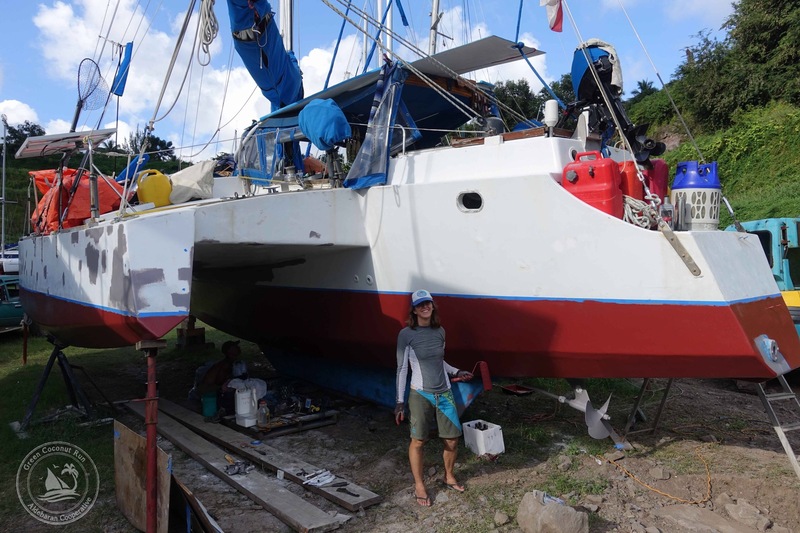 Been really cool to follow this dry-dock adventure. Congrats to everyone for your tenacity. 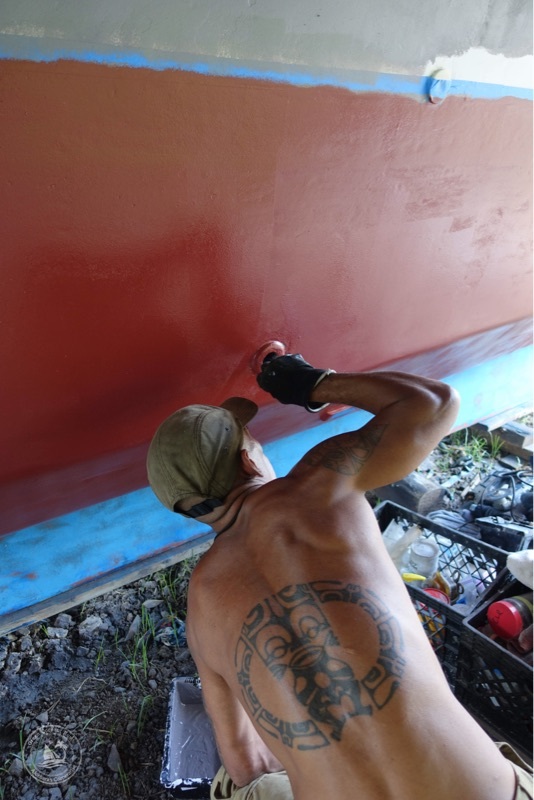 The red hull is hot! Happy sailing.